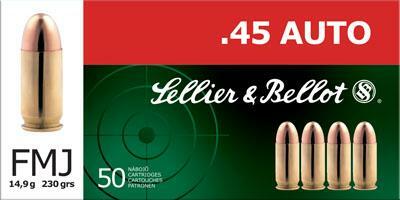 Sellier & Bellot Pistol ammunition has long been respected for its quality, precision and reliability. FMJ loads offer a rigid design for smooth penetration that doesn't deform on impact. This is excellent ammo for practice, recreational shooters, serious competitive handgun shooting sports, Bullseye Competitors shooting, Action Pistol Shooting Matches and Silhouette Shooters. Also a excellent home defense round.